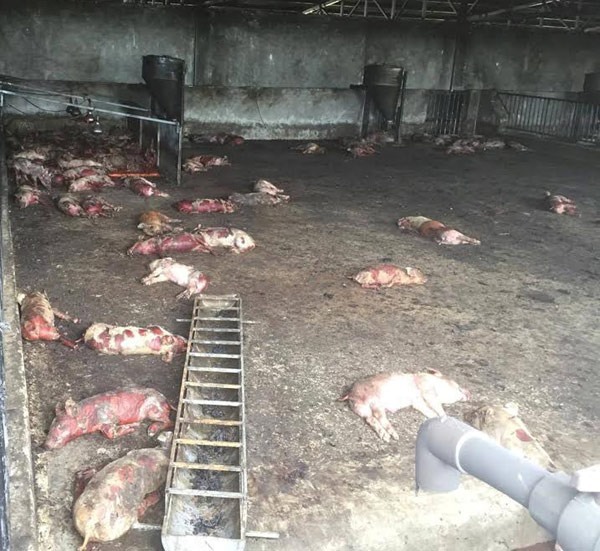 GIA LAI — A fire at a pig farm in Gia Lai Province killed more than 1,000 pigs on Thursday, with damages of over VNĐ1 billion (US$44,400). Ia Pa District’s Chư Răng Commune People’s Committee chairman Phạm Quốc Cường said the fire started at around 4am at a pig farm belonging to Đinh Đức Vinh in Boòng Boong 2 Village. The fire was put out soon after and no human casualties were reported. However, the blaze damaged the air ventilation system of the farm, resulting in more than 1,000 pigs choking to death. According to the Ia Pa District Police, the farm began operation just about a month ago. Preliminary investigation revealed that a circuit failure may have caused the fire.